Alex Kirilloff does not have any MLB stats for the season. Draft: 2016, Minnesota Twins, 1st rd. April 1, 2019 RF Alex Kirilloff assigned to Pensacola Blue Wahoos from Fort Myers Miracle. April 1, 2019 Pensacola Blue Wahoos placed RF Alex Kirilloff on the 7-day injured list. 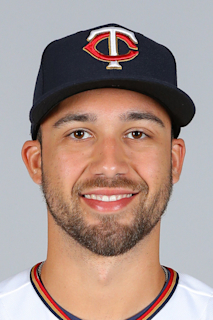 February 9, 2019 Minnesota Twins invited non-roster RF Alex Kirilloff to spring training. June 21, 2018 RF Alex Kirilloff assigned to Fort Myers Miracle from Cedar Rapids Kernels. April 1, 2018 RF Alex Kirilloff assigned to Cedar Rapids Kernels from Elizabethton Twins. March 16, 2018 RF Alex Kirilloff assigned to Minnesota Twins. September 20, 2017 Elizabethton Twins activated RF Alex Kirilloff from the 7-day disabled list. June 21, 2017 Elizabethton Twins placed RF Alex Kirilloff on the 7-day disabled list. September 11, 2016 Elizabethton Twins activated RF Alex Kirilloff from the 7-day disabled list. September 4, 2016 Elizabethton Twins placed RF Alex Kirilloff on the 7-day disabled list. June 24, 2016 RF Alex Kirilloff assigned to Elizabethton Twins. June 21, 2016 Minnesota Twins signed 1B Alex Kirilloff.